Celebs were out and about this week, from Brody Jenner showing off his deejay skills in Atlantic City, to Joe Jonas and Sophie Turner celebrating St. Patrick’s Day, to High School Musical alums Vanessa Hudgens and Ashley Tisdale grabbing dinner. Read on to see more of what the stars have been up to! — Brody Jenner showed off his deejay skills while performing a set for a packed crowd at the Pool After Dark at Harrah’s Resort and Casino in Atlantic City. — Kevin McHale and Jenna Ushkowitz launched their own podcast, “Showmance with Kevin McHale and Jenna Ushkowitz,” for the LadyGang Network at PodcastOne. — Becca Tilley celebrated International Women’s Day at the Shiseido Makeup ControlledChaos MascaraInk Launch Party at Japan House L.A.
— Dev Patel attended the Bleecker Street & ShivHans Pictures hosted a screening of “Hotel Mumbai, with an after party at Ian Schrager’s new hotel, The Times Square EDITION. — Brazilian fashion and lifestyle brand FARM Rio launched their first US collection and will be opening their first US store in SoHo in NYC, later this Spring. — Gavin Rossdale and BUSH performed at the grand opening weekend of The Barbershop Cuts & Cocktails at Cosmopolitan Las Vegas. — Kim Kardashian whitened her teeth with HiSmile on Instagram. — Nev Schulman and Laura Perlongo gave relationship advice on season 3 of their Facebook show, We Need to Talk. — Amandla Stenberg, Kerry Washington, KiKi Layne, Lena Waithe, Thandie Newton, Trevor Noah, Chrissy Metz, Chadwick Boseman, Sterling K. Brown, Michael B. Jordan, Yara Shahidi, Ella Mai and more will attend the 50th NAACP Image Awards on Saturday, March 30, airing on TV One at 9 p.m. ET. — Hannah Godwin and Bibiana Julian stayed at Mondrian Los Angeles and hit up Skybar for the iHeartRadio Music Awards afterparty. — Vanessa Hudgens and Ashley Tisdale had a mini High School Musical reunion at Norah in West Hollywood. — Ty Dolla $ign swung by Nightingale for MADE Nightlife’s Greystone Sunday to flex some new music and party. — Nikki Sixx and his expecting wife, Courtney Sixx, hit the red carpet at the premiere of the long-anticipated Mötley Crüe biopic The Dirt, which airs globally on Netflix on March 22. — London On Da Track returned for his residency with support from Ne-Yo and Miguel at LIGHT nightclub in Las Vegas at Mandalay Bay Resort and Casino. — Monica Rose, Lindsey Dupuis-Bledsoe, and Louise Roe joined Jonathan Simkhai to host a shopping event benefitting Children’s Hospital Los Angeles’ Make March Matter Campaign in West Hollywood. — Reba McEntire will return as host and executive producer of the 54th ACM Awards live from the MGM Grand Garden Arena in Las Vegas on Sunday, April 7 at 8 p.m. ET. 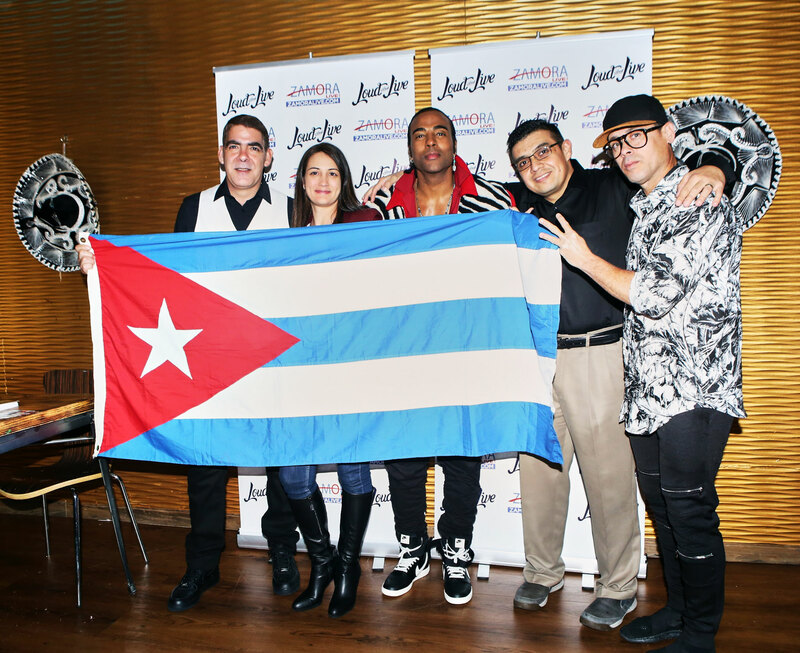 — Cuban hip-hop group ORISHAS celebrated the release of their new documentary on HBO Latino with Cuban menswear brand Cubavera in NYC. — Gilles Marini enjoyed cocktails and appetizers at Clique Lounge in Las Vegas. — Meek Mill rocked a hoodie by Eric Emanuel while on his tour in Boston. — Joe Jonas and fiancée Sophie Turner enjoyed a late night beer at O’Neals Grand Street in NYC on St. Patrick’s Day. 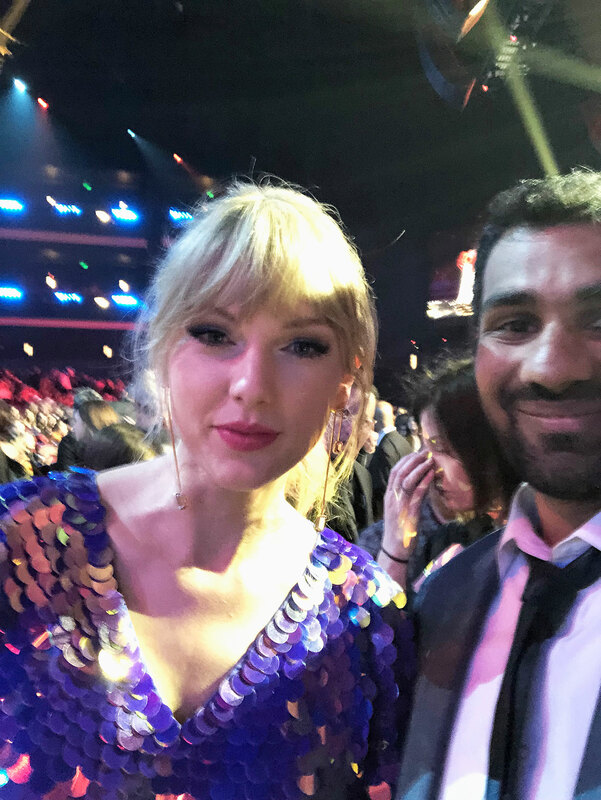 — Joan Smalls rocked denim jeans by Pistola to the YouTube and Love magazine’s Celebration of #MovingLove in L.A.
— Taylor Swift and movie producer/CEO of Circle Plus Play Nitish Kannan posed for a selfie at the iHeartRadio Music Awards in L.A.